I have been very fortunate during my life to have visited some incredible places all over the world. However, to be honest, there have been very few that have truly taken my breath away, emerging from the Siq to see the Treasury building in Petra, the inhospitable but jaw dropping beauty of Paradise Harbor on the Antarctic Peninsula and, of course, Machu Picchu. 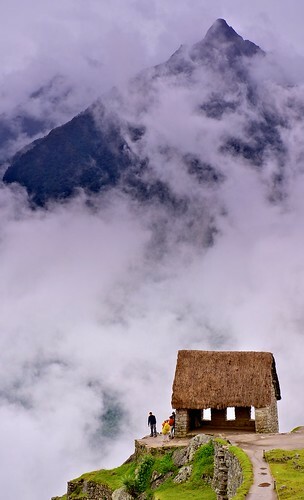 Situated in the Peruvian Highlands high above a tributary of the Amazon this mysterious Incan ruin is one of the most iconic photographic locations on earth. Despite it’s remoteness, it is accessible to all but the most physically challenged although some pre-planning is needed to get there. 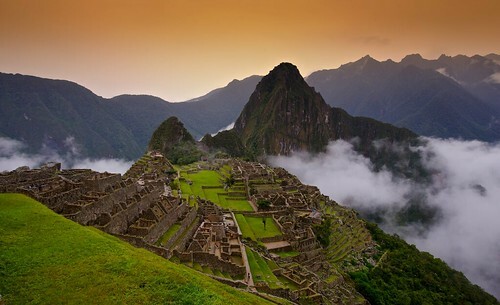 The gateway to Machu Picchu is the Peruvian city of Cuzco, about a one hour flight from the capital, Lima. From here, there are multiple tour agencies that will take you to the site, as part of a package group, however, your time will be limited and you will probably arrive mid morning, missing the early light. It is, however quite possible to get there yourself. 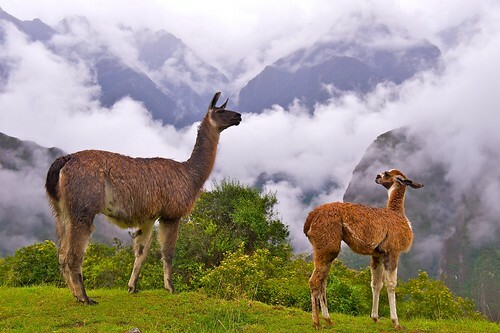 To do this you need to go from Cuzco to a small town called Ollantaytambo, about 60km Northwest of the city. There is regular bus service from there, or if there are three or four of you, it can be quite economical to hire a taxi. From Ollantaytambo, you will take the PeruRail train to Aqua Calientes, the small town closest to the ruins. It is best to get to Aqua Calientes the day or evening before, this will enable you to visit the site as it opens the following morning. Be aware that you are strongly recommended to purchase the train tickets well in advance as the service is frequently fully booked. The park opens at 6am and the buses start running up to the site about 30 minutes before. You will also need to buy your entrance ticket in advance in Aqua Calientes, it is not possible to purchase on site. As well as getting the best light, another major reason for getting into the ruins early is the sheer number of tour groups that arrive from mid morning onwards. Getting in at 6am will give your the opportunity to shoot the iconic views before the crowds arrive. Another consideration for photographers is that to use a tripod, you will need a permit and as of 2011 these cost in the region of $300. Tripods may be confiscated on the gates if you have no permit. Well, as mentioned, use the early light to get the iconic views over the city. Some the most common shots are taken from the Gatekeepers hut looking over the entire ruins towards the mountain of Huayna Picchu at the opposite end of the city. It is also possible to climb this mountain for the reverse views but you need to be physically fit to do it and only the first 400 people are allowed to make the climb. It is well worth taking the “cliche” shots of the city, the weather is often highly changeable and even the well worn views can offer something new. As the ruins begin to fill with the daytrippers, it is time to concentrate on the many, many details that the city has to offer, views through stone window frames, the famous terraces the detailing in the architecture, looking for the unique angles. Apart from this, there are some truly breathtaking views of the mountains and the Urubamba River snaking below. In terms of equipment, a wide angle lens is a must. Somewhere in the region of 14-20mm on full frame will allow you to capture the full majesty of the site whilst a moderate telephoto will allow you to pull in the details as well which means that you do not need to move in close to the famous spitting llamas to get shots of them. A waterproof camera bag is a must as the weather can be highly changeable. Make sure you have plenty of memory card space and plenty of power, the weather can get surprisingly cold due to the altitude with the knock on effect of reducing your battery capacity. 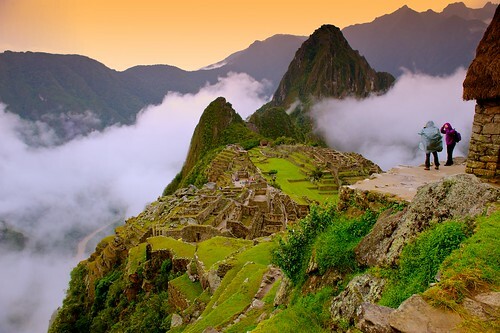 The altitude is something that can be overlooked, Machu Picchu sits some 8000+ feet above sea level and this can seriously sap your energy. 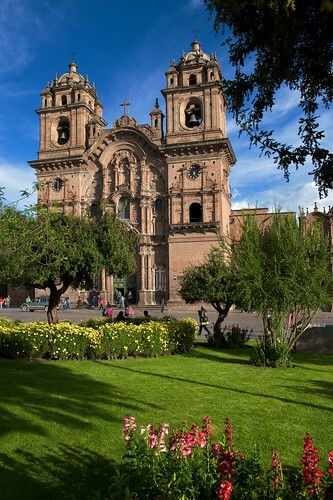 If you have time, spend a couple of days in Cuzco to acclimatize, this city is at some 11000 feet above sea level and is also incredibly photogenic. If you do not adapt well to altitude, it is worth purchasing a bottle or two of oxygen, these are readily available in Cuzco and Aqua Calientes. 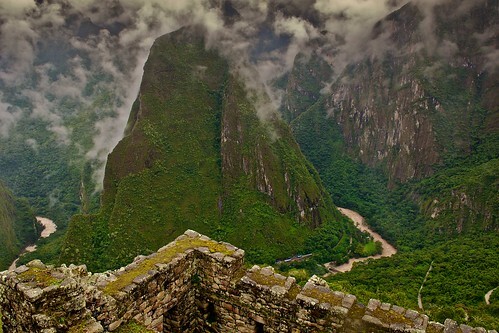 Machu Picchu is one of the most breathtaking locations on earth and whilst it may seem that every shot has been covered before, there are many locations within the ruins, each opening up a new photographic possibility. If you get a chance to visit this magical place, take it, but my last piece of advise would be – take time to put the camera down and enjoy this magical place for what it is.